One of the greatest thrills in amateur astronomy is providing a first telescopic look at the moon or Saturn at a public venue. The “Ooh, Wow!” and “This has to be a fake!” comments more than compensate for the rigors of transporting and setting up a high-quality instrument. I've always found that a reasonably large apochromatic refractor is perfect for slicing through the indifferent seeing conditions frequently found in the Buffalo, New York, area. Certainly, a big Dob or SCT is better for revealing the “faint fuzzies” and most deep-sky objects, but the spectacular nature of a good lunar or planetary view may be just the ticket in engendering a continued interest in astronomy. Finding the right balance between telescopic size, weight, ability and portability, however, is not a simple matter. 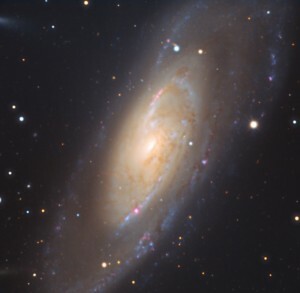 A good 4-inch refractor can provide some outstanding images, but its limited light grasp restricts high-power operation, and a 6-incher is frequently too bulky to be easily transported. Hauling a 6-inch, f/8 with its heavy mount to the rooftop of the Buffalo Museum of Science can be a daunting task. I have had good success with a number of scopes in the 120mm to 130mm class, as they do present an excellent compromise, but on some occasions, just a bit more is desirable: Something a bit larger but still svelte enough to use a lighter mount. Until recently, the only readily available choices in this size category (as new) have been the Vixen 140mm Achro-Petzval, the TEC 140ED triplet, and the just-released Explore Scientific carbon fiber triplet. The Vixen, although fine for deep-sky observation, has significant false color that really disqualifies it as a planetary instrument. The TEC 140 is a beautifully-crafted telescope with outstanding optical and mechanical quality, but it is expensive and just heavy enough to require a beefy mount, and the ES unit is too new to garner any detailed reviews. The final alternative is the recently released APM 140ED, f/7, doublet that utilizes an FPL-53/Lanthanum combination. The promise of a relatively light-weight yet capable instrument for (primarily) visual observing was enough to trigger an order from APM Telescopes in Germany. In a scant four business days from my on-line order from APM, the telescope arrived via DHL superbly packaged and in flawless condition. As Markus Ludes of APM had informed me, there was an 8 percent duty imposed that was handled easily through DHL. Not only was the package well padded on the inside, but was bubble-wrapped on the outside for an additional layer of protection. The telescope itself presented an immediate picture of quality construction: The traditional color scheme of a gloss white tube with flecks of imbedded silver( mother of pearl) and the black focuser and accents make for a very attractive instrument. Tube rings with a Losmandy-style mounting plate on the bottom and a convenient cylindrical carrying handle on the top cradle the tube assembly. A retractable dew cap and nicely padded and machined aluminum dust cap grace the front end of the telescope. A Synta-style mounting shoe for an optical finder or RDF is attached to the rotatable focuser, in this case, the standard 2.5-inch rack&pinion unit and not the optional 3.7-inch. A .75x focal reducer is available for imagers. The objective lens was spotlessly clean with a uniform coating that rendered it almost invisible and allowed a good view of the multiple anti-glare baffles. After attaching a right-angle 8x50mm finder to the scope, I tried a variety of star diagonals to determine if focus could be easily achieved. No problem here: The 2-inch and 1.25-inch dielectrics and 1.25-inch prism diagonals all came to focus with the long available travel of the calibrated draw tube. The focuser's motion was quite smooth throughout its range, but there was one small spot where binding was noticeable near the end of its travel. The 10-to-1 fine focus worked with accuracy and no wander or backlash: Not a bad unit overall, but no one will mistake it for a FeatherTouch and its silky precision. The first choice for mounting the APM was my “grab-and-go” Universal Astronomics Unistar Deluxe atop a Vixen extension pier and Synta tripod with adjustable 2-inch steel legs. The standard Losmandy-style mounting plate provided with the scope made for easy attachment and balance, and the entire unit could be lifted and carried about for reasonable distances without undo risk or strain. As it turned out, this ensemble provided a fairly steady configuration with a damping time of about three seconds, reduced to an excellent one second when used with Celestron vibration suppression pads. Though I haven't had the opportunity to mount the APM on an equatorial, I can say with fair certainty that it is a bit too long and heavy for a CG5/AVX-class mount, but a Losmandy GM-8 should suffice, and something in the Orion Atlas or CGEM class should be rock steady and beefy enough to permit imaging. With the scope mounted in the alt-az configuration, I slipped a RACI 8x50 finder into the standard Synta-style dovetail and added a 1.25-inch star diagonal to the draw tube. Ready for first light. The FPL-53/ lanthanum doublet configuration with its 140mm clear aperture and f/7 focal ratio, in theory, promised to deliver crisp, high-contrast images if properly designed and fabricated. I had some misgivings about adequate color correction, but those fears were soon allayed when I pointed the scope at Polaris. The Pole Star was cleanly defined at 196x using a 5mm TMB/Burgess planetary eyepiece. Collimation was dead perfect, and the tiny companion star displayed a sharp, tight disc. Racking the image in and outside of focus showed only the barest hint of false color, and the in-focus image showed none. No serious optical defects could be seen in the inter and extra-focal diffraction patterns, though they were not identical. The question invariably comes up: Is this telescope truly “apochromatic”? Without getting into the morass of personal and technical definitions, I can say with fair certainty that this APM 140ED has very good color correction – much better than one could reasonably expect and far superior to any long-focus achromat and the equal of many triplets. There is a slight red excess that manifests itself when viewing orange or red objects (accentuated by my abnormally red-sensitive eyes) that is lessened somewhat by using a Baader T2 prism diagonal in place of a dielectric unit. As the fortunate owner of Takahashi FS-128 and FS-152 fluorite apochromats, I wanted to pit these superb instruments against the APM. As always, a sample of just one of anything may not represent the quality of the entire production run, but I can state with fair certainty that Takahashi quality control is quite consistent given my encounters with at least a dozen of their telescopes. With the APM 140, because I didn't opt for the optical report, I simply must trust APM's reputation and QC standards to assume an “average” performer. Splitting challenging double or triple stars is hardly the ultimate test of a telescope, but failure to resolve to Dawes' limit or to deliver clean separation indicates a less-than-excellent optical performance. The classic quadruple showpiece Epsilon Lyrae was an easy and satisfying target for the APM. At a magnification of 127x, using an 8mm Paradigm Dual-ED eyepiece, the separation of both sets of doubles was beautifully clean with sharp airy discs and delicate but well-defined first diffraction rings. There was no hint of spurious color or a yellowing of the image. Pumping the power up to 196x with a TeleVue 5mm Nagler Type 6 maintained the solid image and increased the gap between the stars into the “you can drive a truck through it” territory. The close and highly unequal double Delta Cygni was also easy prey for the 140. The clean and small first diffraction ring of the primary star made its tiny companion easy to spot at 140x using a Burgess/TMB 7mm planetary eyepiece. At 245x, with a 4mm ocular in the draw tube, the split became laughably easy. A fine a sight as this, however, fell just a tad short of the image generated by the Takahashi FS-128 and FS-152. The Taks didn't resolve the pair noticeably better, but both the primary and secondary stars seemed to “burn” with an intensity not seen with the APM. This was, to be sure, a subtle effect, but something a seasoned observer might notice. Though low in the summer sky, nu (14) Scorpii, the southern “double-double,” provided a good test of resolution close to the Raleigh criterion. At 196x, the brighter double with a 2-magnitude disparity and .9 arc-second separation was cleanly resolved with the APM140 despite the mediocre seeing conditions. Both 5 and 6-inch Takahashi's also made the split at similar magnifications with the view through the APM sitting just about between. Overall, the APM 140 performs well on multiple stars of all separations, magnitude differences, and color combinations: It gives up little to ultra-premium instruments. On a variety of deep-sky objects, the 140 delivered exactly what its aperture and optical configuration promises: pinpoint stars set against a dark background, wonderful contrast on nebulae, and an overall “punching above its weight” when compared to scopes of other types. With a relatively short focal length of 980mm, the telescope performed admirably at low magnifications when paired with a 25mm Paradigm dual ED eyepiece, generating 39x with a field-of-view of over 1.5 degrees. Yes, with a 2-inch diagonal and a hefty 30 or 35mm ocular, it could go lower and wider, but my mild astigmatism makes that undesirable. Galactic clusters such as the Double Cluster in Perseus, M25, M23, and a host of the brighter NGC objects were gloriously sharp and impressive, especially when the power was upped to 54x with an 18mm Paradigm. The characteristic refractor definition and snap-to-focus of the APM was clearly right between the images provided by the 5 and 6-inch Taks, but the fluorites did show a somewhat darker field background and stars with just a tad better color saturation and intensity. A very small difference. The Lagoon (M8) and Omega (M17) were magnificent in all three telescopes, especially when a Lumicon OIII filter was employed. Faint nebulosity at the edge of visibility made for views that began to approach the detail seen in many ccd images. The Ring (M57) was also nicely displayed in the APM, its brightness squarely between the images in the two Takahashi's, and the two major segments of the Veil Nebula were easily visible courtesy of the OIII filter. Globular clusters M13, M22, M5, and M15 all showed significant resolution with the 140at 127x, and only the Tak FS-152 bested it with its greater aperture. In summary, The APM does exactly what a high-quality APO of its aperture is supposed to do on a full range of deep-sky objects. Obviously, the most critical test of a visual refractor lies in its ability to define low-contrast planetary detail. The spring and summer of 2018 provided ample opportunities to view the planets of greatest interest to most observers: Jupiter, Saturn, and Mars. The giant Jupiter, with its dynamic atmosphere and gobs of delicate detail, always strikes me as perhaps the single best test of telescope optical quality. Certainly, pumping the magnification of a telescope into the 50-60x per inch of aperture range is helpful in determining optical performance. However, the generally poor seeing conditions in the Buffalo, New York, area with its nearby Lakes Erie and Ontario and often uncooperative jet stream makes this tactic difficult. A more sensible range of 125x to about 200x works much better for mid-size instruments. With Jupiter looming in the southeast sky, I employed the APM and both Takahashi's for direct comparison. At 140x, the view through the 140ED was glorious. The small but intense Great Red Spot showed significant color and a darker rim around its edge. Detailed projections in the North Equatorial Belt stood out nicely, and blue-grey festooning swarmed in the Equatorial Zone. Several minor belts could be seen, and the polar regions displayed some faint irregularities. The Galilean satellites could be identified by their position, colors, and disc sizes when the magnification was upped to 196x. Very, very nice! Yet, somehow, the image was even better in the FS-128 and FS-152. The most elusive details seen with the APM were very similar in the Tak 128, but the cloud belts took on an “etched” appearance with somewhat better color saturation. The Tak 6-incher simply outperformed the other two telescopes as might be expected by virtue of its greater aperture. It must be stated that the disparities in image quality among the three instruments were very small, but a critical, experienced planetary observer would notice the difference. The reopening of the Kellogg Observatory with its refurbished classic 8-inch Lundin refractor atop the Buffalo Museum of Science provided the perfect opportunity for outreach and comments from the general public on telescopic views. Here, Saturn was the star of the show with some 200 plus visitors getting a glimpse of the ringed planet. The APM140 provided spectacular views at 163x with a 6mm TMB/Burgess eyepiece. The Cassini Division fully circumscribed the planet, and the North Equatorial Belt and polar region stood out clearly. The shadow of the rings on the planet and dark slice of the planetary shadow on the rings forged an almost three dimensional appearance. The “crepe” ring was just at the limit of visibility, and the satellites Titan, Rhea, Iapetus, and Tethys could be seen by most of the observers. Exclamation of “Wow!, This isn't real!, “and ” This is a fraud!” made for a great experience. Most visitors considered the image with the APM the best of the evening, except for the wonderful TEC 160 fluorite triplet nearby that bettered it at 200x. Mars, hanging low in the murk and covered with dust, was a disappointment with all of the rooftop scopes, but observations a couple of weeks later showed the APM to be very capable of coaxing out some faint surface details, the southern polar cap, its dark collar, and limb brightenings. A dozen or so observations of the moon (primarily at or near first quarter) again confirmed the fine image quality of the APM. Trying hard to find false color on the orb, I ran the magnification to 245x and 478x with 4mm and 2.5mm planetary eyepieces. Crater shadows remained jet black despite the mediocre seeing conditions, but I did notice a slight yellow- green edge on the lunar limb. Features such as the Rima Birt and coalesced crater chain near Copernicus were sharply defined, and the lunar north near Plato and the Alpine Valley gave the “I'm in lunar orbit” sensation. As a lunar and planetary instrument, the APM140 is impressive – far above “bottom-feeder” territory and only a bit short of ultra- premium telescopes. Its ultimate optical quality falls a bit short of the world-class Takahashi fluorites in contrast and snap-to-focus, but for the price, it is a bargain, and it may be just the ticket for the observer on a modest budget who craves sufficient aperture, APO performance, and portability in a single package.